It’s good to start your planning before you open Microsoft Project. 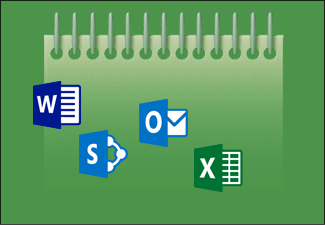 To capture your early thoughts about your project’s goals, use an application like Word, Excel, OneNote, or Outlook. After everyone has bought off on your ideas, you can start planning your schedule with Project. Go back to The Project Road Map for more articles that teach project management. It's temporary and unique Designing a car manufacturing plant is a project because it is a one-time activity. The manufacture of cars at the plant is a repeated series of activities and is therefore not a project. It has clearly defined deliverables Deliverables give a project focus and purpose. Stakeholders won’t feel that their project investments are worthwhile if deliverables aren’t clearly stated. It has a beginning and end Without a project end-date, stakeholders and investors won’t enjoy the project’s outcome and benefits that their investment made possible. Here are some examples to help you decide if you have a project. Limited time span End dates for major deliverables usually fix the overall length of the project. Limited people and other resources Project managers usually have a limited number of people to perform work on a project, or a limited budget. Small scope A project is usually constrained by how much the team can accomplish. If the project has too many deliverables or features, there might not be enough time in the schedule to get them all done. A change in one constraint usually affects the other two and can affect overall quality. For example, decreasing the duration of the project forces the project manager to make decisions about the number of workers needed to complete the project deliverables. If there aren’t enough workers, then shortening the project might have other tradeoffs like reducing the project’s scope. Identify your stakeholders early Nothing hurts a project more than failing to identify who the critical stakeholders are and how to best communicate with them. If you fail to identify a critical stakeholder after a project begins, the project can grind to a stop, or become over budget as new project objectives and methods are proposed. Jot down notes with OneNote while you think about your project and what you want it to accomplish. Your notes can contain emails, links to web sites, videos, or early specs. Projects sometimes start as simple lists in Excel. But when they grow, import them into Project where you can organize and schedule tasks more efficiently. Work with early project specs using Office 365. As long as you’re working on a PC with an Internet connection, you can work on your documents using full versions of Word, Excel, PowerPoint, or OneNote—on demand, anywhere. Work with Office Online without Office 365. As long as you have a Microsoft Account, you can use the web versions of Word, Excel, PowerPoint, or OneNote to capture your early project ideas. No matter where you are in project planning, a well-presented report helps to gain stakeholders’ acceptance of project deliverables. If stakeholders can’t be present, use online meetings to connect with them. Share PowerPoint slides, Excel sheets, or OneNote notes to discuss early project plans. People can participate in Microsoft Teams online meetings in their office, on the road, or on their mobile device. When questions come up while you’re working on a project schedule, chat with them online using Teams. Copy a list of tasks in Word, Outlook, or PowerPoint and paste it into Project to start a schedule quickly. Project will keep the outline structure and formatting (only in Project 2013 and later versions). Create a new project based on a template pre-populated with tasks from projects similar to yours. Industry experts created many of these projects to help you get started quickly. Move a task list that was started in Excel into Project. Project will keep the outline structure and formatting. Projects sometimes start as tasks lists in SharePoint for sharing with people without Project. Once the task list grows to a certain size, move it into Project to continue working on it there. After you’ve started your project in Project, you can start to add tasks, organize them, link them together, add people, and so on.